Frara Road Pen Roll - Black Now Available At Write GEAR! 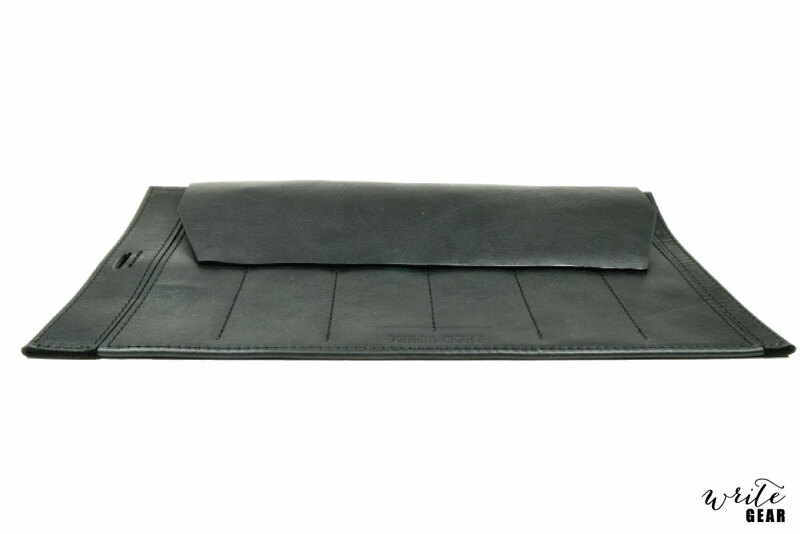 This was the first product in our Frara Road range that we started working on initially simply because it was the product that we were most excited to have for ourselves. 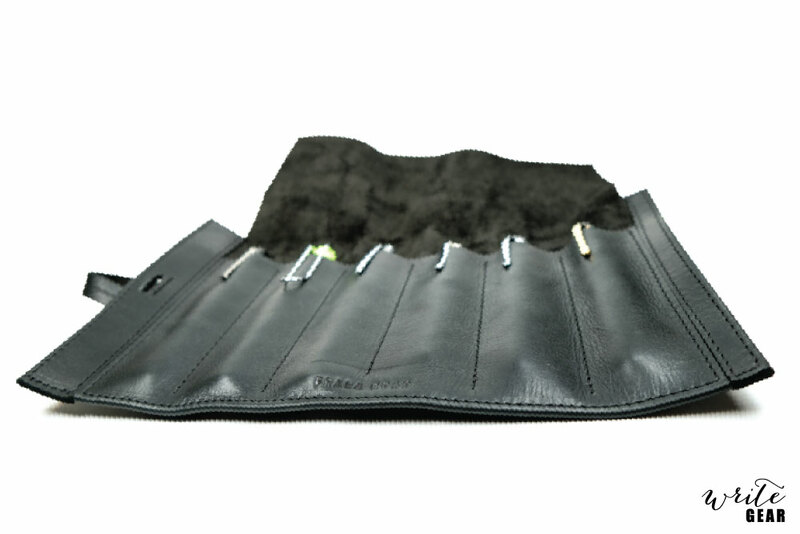 We tweaked and tested the design of our Pen Roll more times than the average person has hairs on their head and the outcome is simply a breathtakingly beautiful product that functions unlike any pen roll you’ve seen. 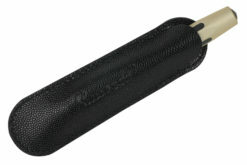 The unique thing about our Pen Roll is that the strap is never in your way. 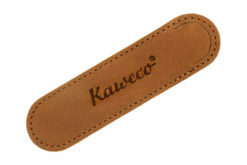 When rolled up the strap tucks itself out of the way and is designed in such a way that the strap does not have to wrap right around the roll in order to secure it. 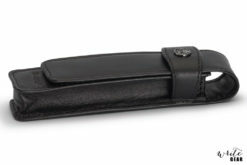 Essentially it forms a self locking mechanism and also reduces the length of the strap needed. 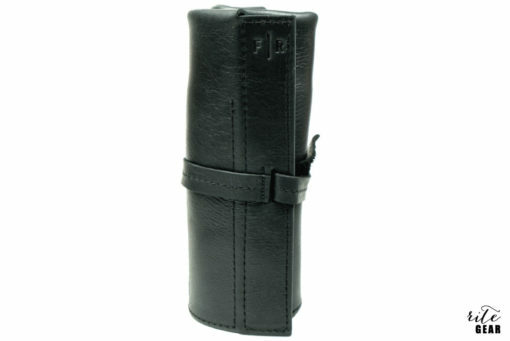 When the Pen Roll is laid open the strap is completely hidden underneath and out of your way. If your desk is as full of organized chaos as ours are then you will appreciate the importance of this feature. The Pen Roll has six sleeves for your pens and pencils. 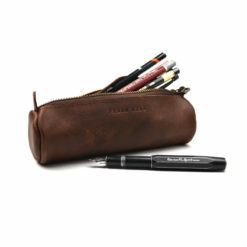 Each sleeve will fit a full sized pen comfortably with a little bit of extra space. The flap at the top ensures full protection from your pens rubbing against each other aswell as the elements. Made from the highest quality full grain upholstery leather and machine stitched with precision and care using a heavy duty thread. 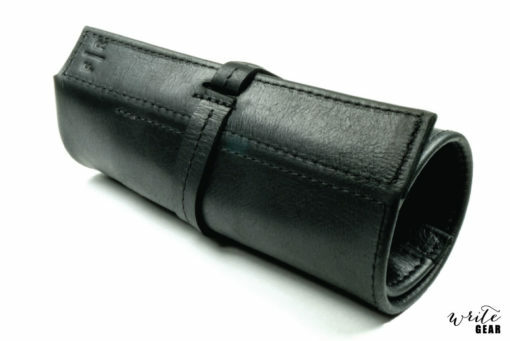 The Pen Roll will last you for generations to come. 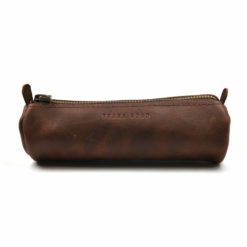 We are irritatingly proud about the design of our Pen Roll. If you see us out somewhere I would strongly advise you not to bring up conversation with us about the Frara Road™ Roll. You won’t be able to get us to stop talking about it. We know you will love this pen roll as much as we do.